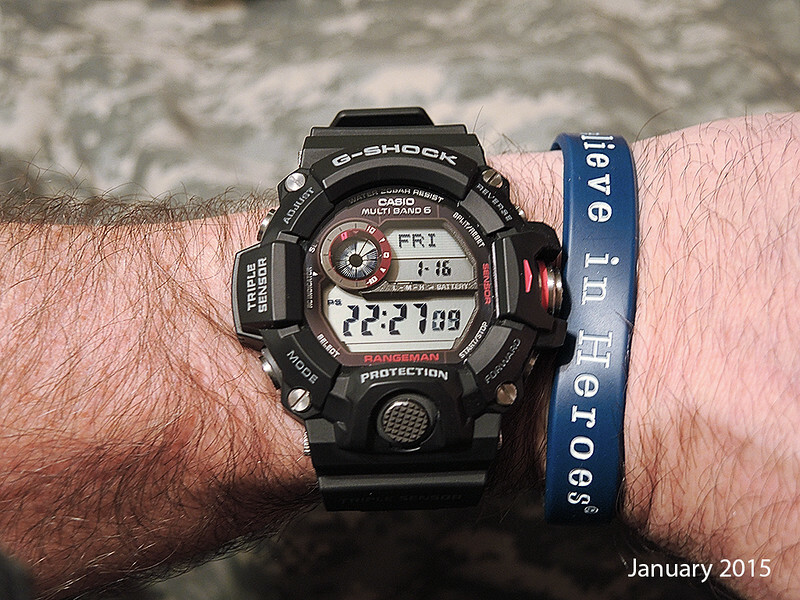 Liking this GW9400 Rangeman more and more every day! That's a good looking watch, what else can it do besides telling the time.? I've often wondered how that works. I've never even learned how to use a compass, saying that, I have enough bush knowledge not to get lost. I am interested in knowing how to tell direction from a watch, or compass for that matter. In the northern hemisphere, the hour hand- when lined up with a shadow line created by the sun tends to point south. 1/2 way from an hour-hand aligned this way and the 12 on the watch is south. I will look for a better explanation for the southern hemisphere. And, I'm with you- when you need to resort to tools to tell you where you are, you failed to pay attention. lol. I guess if you don't know where south is, your not paying attention. Having said that, I've been on a boat at sea fishing that was using a GPS and it brought the skipper back to the entrance with pin point accuracy. Also put it over reefs in good fishing spots with the same accuracy. I agree that GPS is a fantastic tool for precise navigation, especially at sea. If I have an issue, it is that we increasingly depend upon tools for navigation at the expense of developing the potentially the innate sense of direction we could be developing. Both you and I have been days, perhaps weeks, of travel from some point of relative safety- where the location of water holes and possible food would be critical to our survival and/or rescue. That we are here means we did that without contemporary aids. It is not rocket science. Rather, it is a set of senses developed over time, coupled with an equally developed awareness that kept us alive. I cannot help but be concerned that the increasing array of available tools (aids) serve to let those skills atrophy and over time (generations) fade to nothing. I would not ever trade learning a skill for having a device to replace that skill. Devices not only tend to fail, they can be misleading. It took me a day and a half to find a party that was using a GPS and a computer with downloaded maps to navigate to a specific location in the desert. The location had water. I was there, they were not. The cause, later revealed, was use of maps from one source and a GPS from another source. They did not match. They were on a plateau 1000 vertical feet from water but only 800 feet off course. EVEN LOGIC failed to serve them as their faith in the device(s) prevailed. I say better to have both knowledge and a device ...or just knowledge ...than just a device.